Rustic chairs could bring a natural touch with style and beauty to your interior. The things around us change really fast, faster than you could imagine. Wouldn’t it be nice to see a touch of our old lives still dwells within us? We can do that by adding nature-inspired decor or anything that reminds us of the beauty of nature. There are wooden furniture that we can use wherein some has a rustic design. When you aim to achieve a rustic design, it would entail the use of driftwood and many other wooden elements. I have always been a fan of rustic designs. 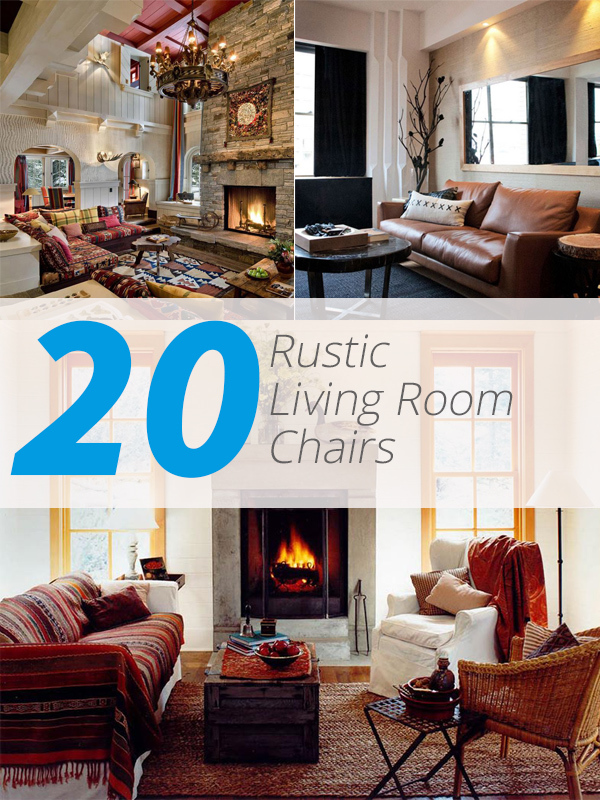 In today’s article I am going to show you how you can incorporate a bit of that unsophisticated flair in your homes with the help of cozy rustic chairs strategically placed in living rooms. These lovely furniture are the amazing designs and products of our innovative contemporary designers who made it possible to mix and match these wonderful pieces with contemporary setup and even modern-styled homes. You might feel a little unsure about it, but adding a simpler and modest furnishing will bring nature closer to you. It will make your interiors more relaxing and inviting. It is just a matter of getting the right blend for your home. You will be surprised on how this mix and match will turn out. Let us embrace the beauty of bare, traditional and nature-inspired furniture to give our homes a breather and tranquil ambiance we all deserve. The layout of the living room is the highlight in this photo. I love how the seemingly traditional and rustic chairs were placed and the two mismatched console tables behind each sofa create a rather rustic contemporary appeal. So warm and cozy! Who says you can’t have a rustic look in your contemporary home? 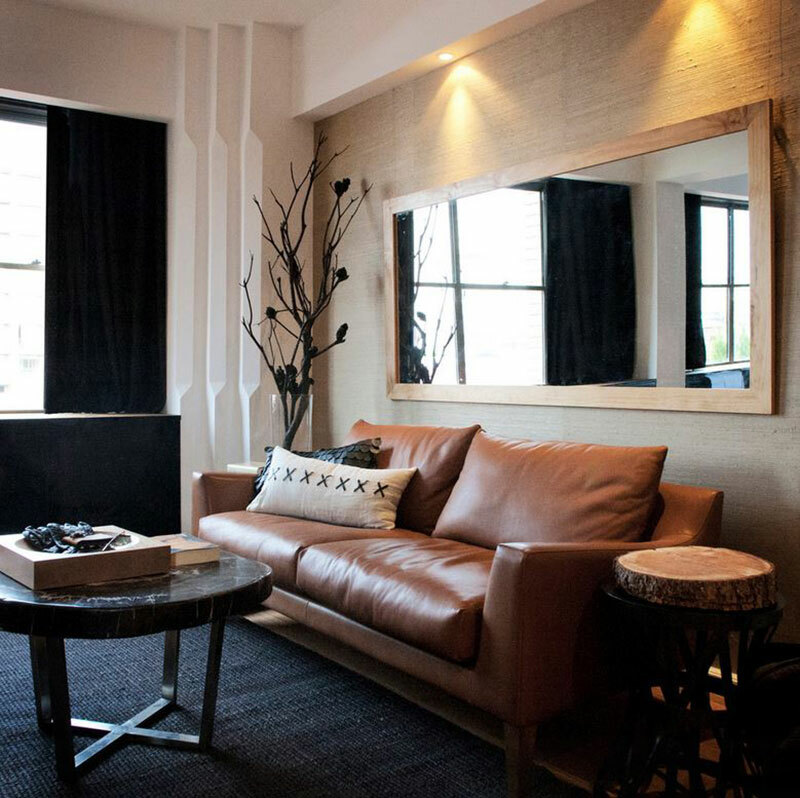 This brown, leather sofa gives a masculine touch and sets the tone in this contemporary-rustic style living room. I love the subtle colors gracing in this welcoming living space! The blonde woods that cover the walls and the ceiling give out a bright and fun atmosphere while the browns on the furniture keep the beautiful contrast. 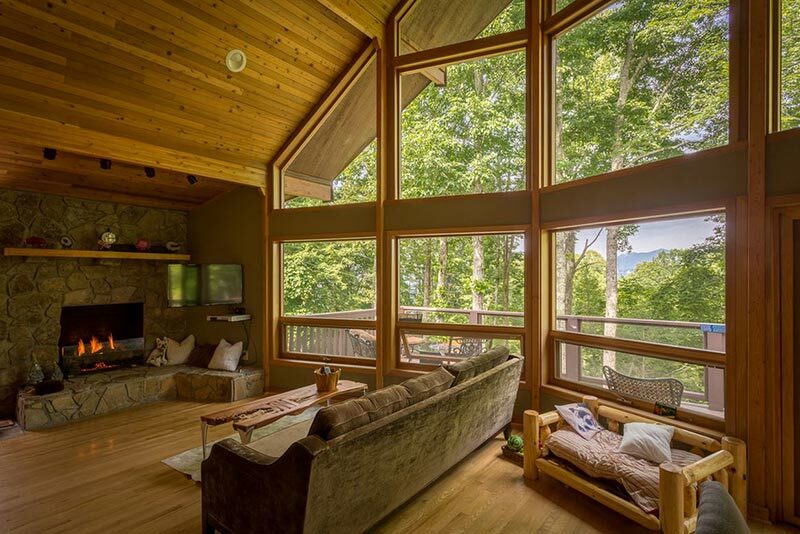 The huge windows give an open feeling and draw the nature closer to the space. It is such a cozy, nice place to relax! 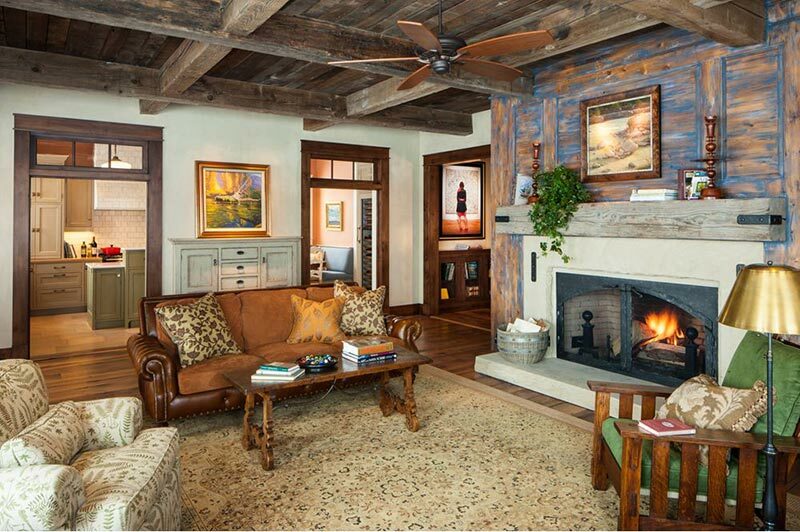 This incredible living space is a combination of traditional and rustic sophistication. 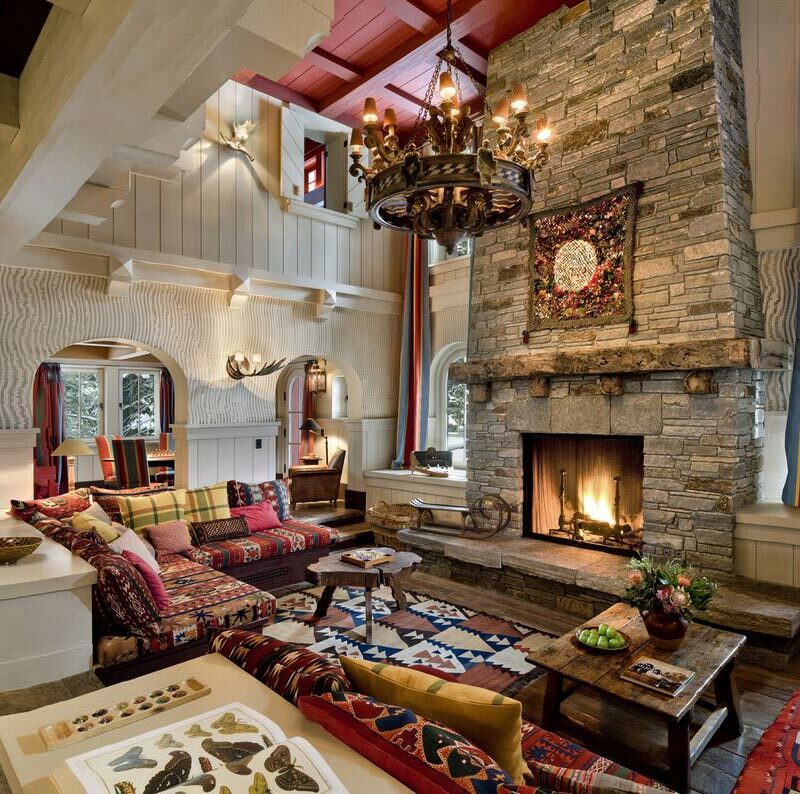 The rich rustic colors and decor make this place stunning and luxurious! The living room set gives an extraordinary punch to the whole scheme and the area rug with its beautiful colors and lovely details add interest. One look at this space and you can tell that the design is modern in every way. I love the architectural design and the interior is wonderful! 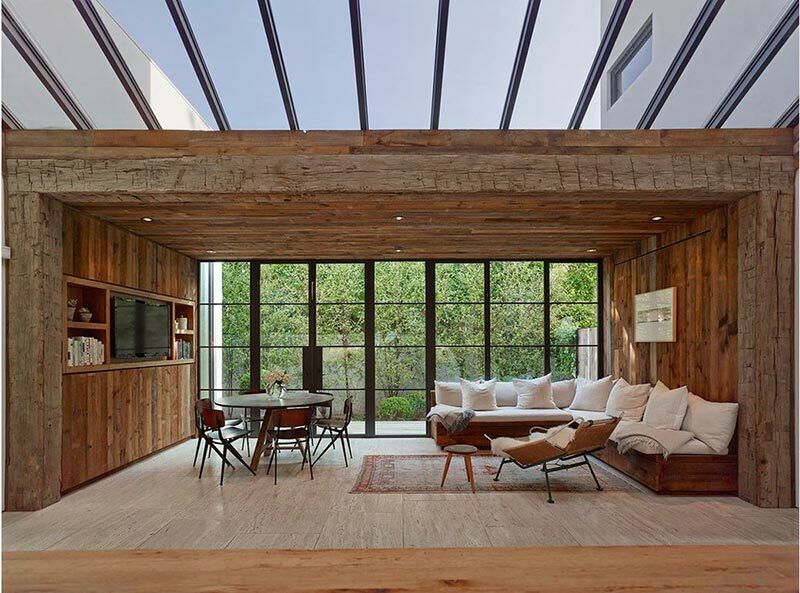 The combination of all things modern and rustic makes this place strikingly beautiful. The natural elements and the brown leather accent chairs bring a traditional touch to this space making it incredibly cozy and chic. 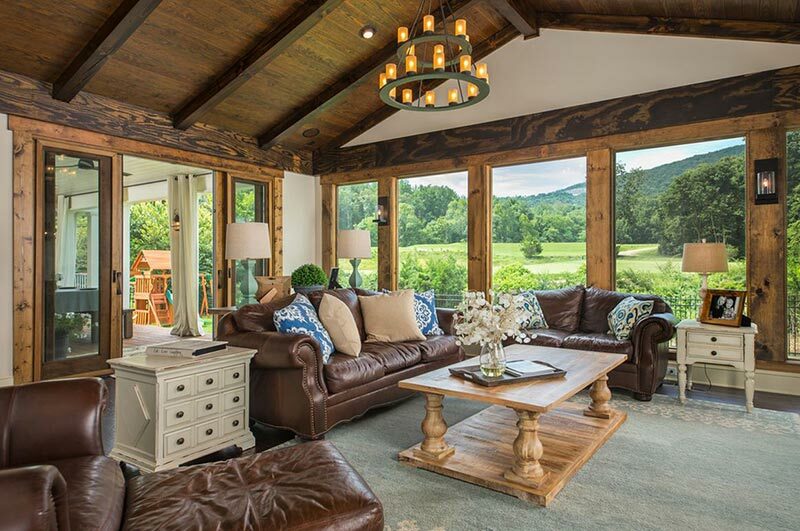 The exposed beams, stone fireplace and the custom sectional sofa in all its rustic glory make this living room a perfect spot for relaxation. The burst of colors and playful patterns make this space fun and exciting. The red ceiling pops against the neutral walls and creates a great interest that ties all the colors you see around the space. 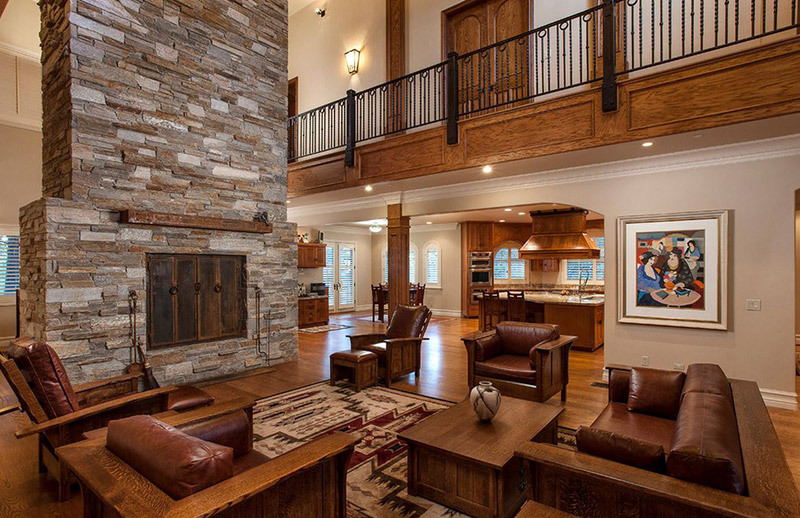 This large living space with all sorts of rustic and traditional touches, makes a restful retreat. The mix of different rustic and traditional furniture in this living room is just the right blend of sophistication and rustic elegance that is not overwhelming and out of place. A picture-perfect living room layout filled with the brightness and cleanliness of white and coziness of rustic elements. 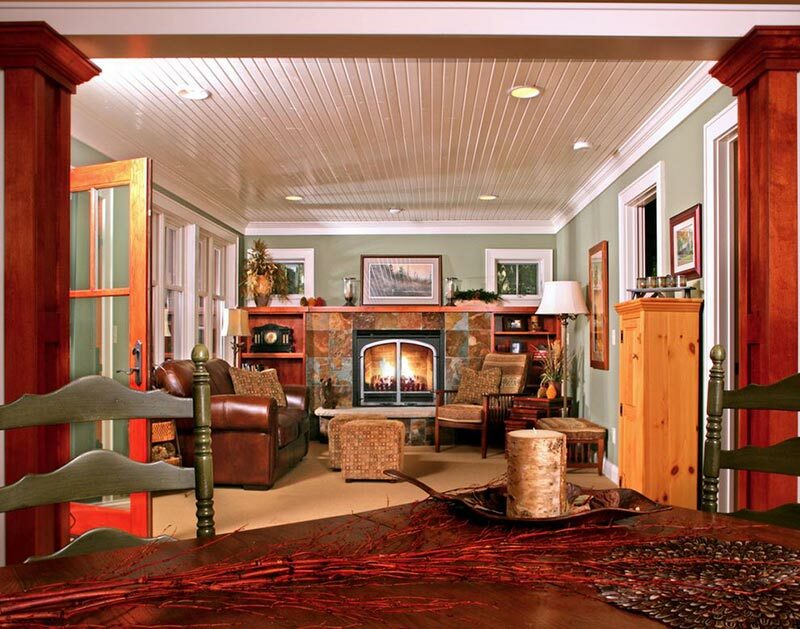 Who would not love to curl up in this sweet living room with a book during those cold winter nights? 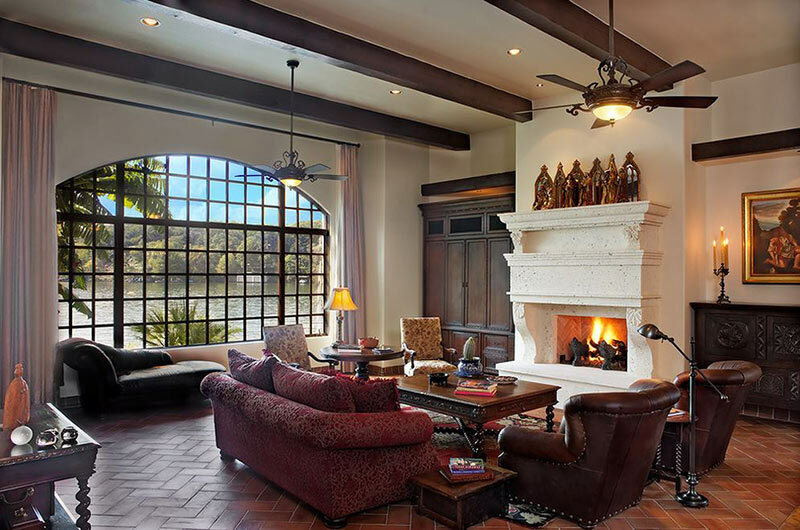 The combination of contemporary and rustic elements in this living room works really well. 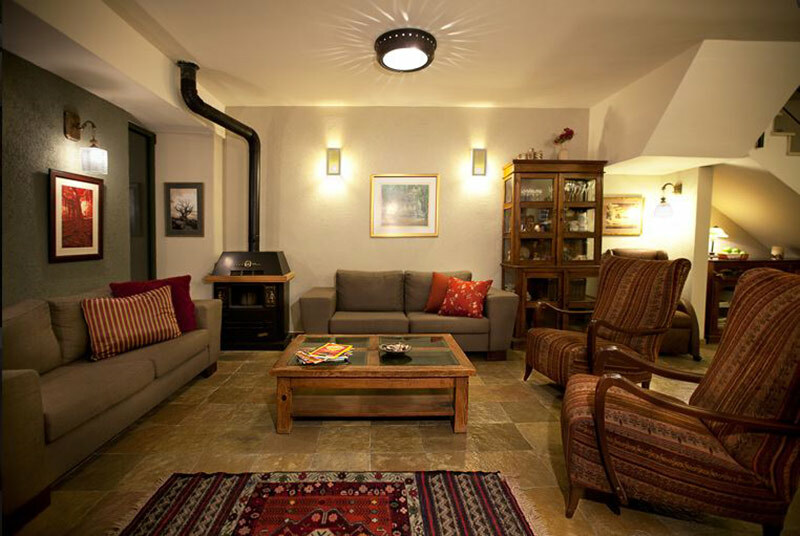 The rustic patterns on the chairs and area rug give interest and fun to the neutral walls and contemporary sofa. This living room gives off an easy and light atmosphere. 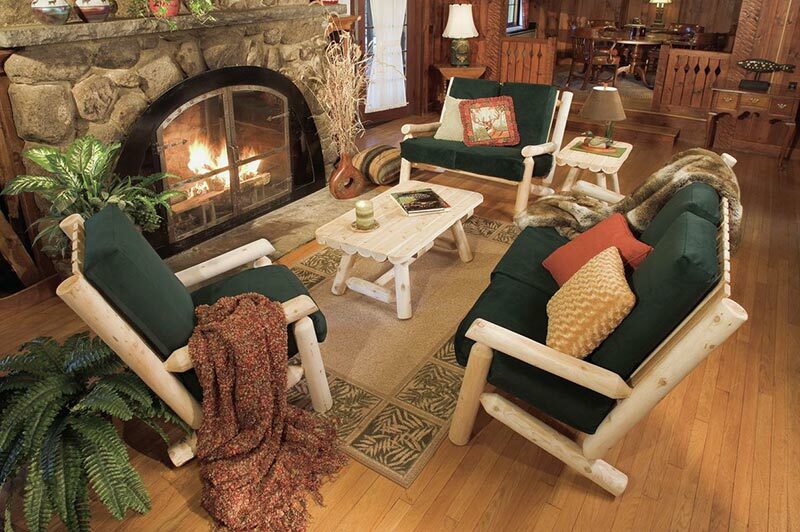 The classic log-style furniture gracing around the fireplace makes it so inviting while the greens and browns bring the beautiful nature inside your home. For those who are quite skeptical in styling their homes the safest way to go is to do the traditional way of interior design- getting a furniture set. In that way you do not have to worry about mix and matching and if one style will work well with the other. In this living room, the brown leather couches matched beautifully with the distressed end tables and wood coffee table. The stunning chandelier steals the spotlight, drawing the attention upward to the ceiling and the exposed stained wood beams. I love how the softness of the sage walls hold the rich colors of rustic elements together in this space! The twig furniture brings interest and punch to this cozy living room. A perfect set for your modern interior to add just the right amount of rustic warmth. This living room set will blend perfectly with any contemporary designed furnishings or interiors. Its weathered finish is sure to add charm and coziness to any modern space. 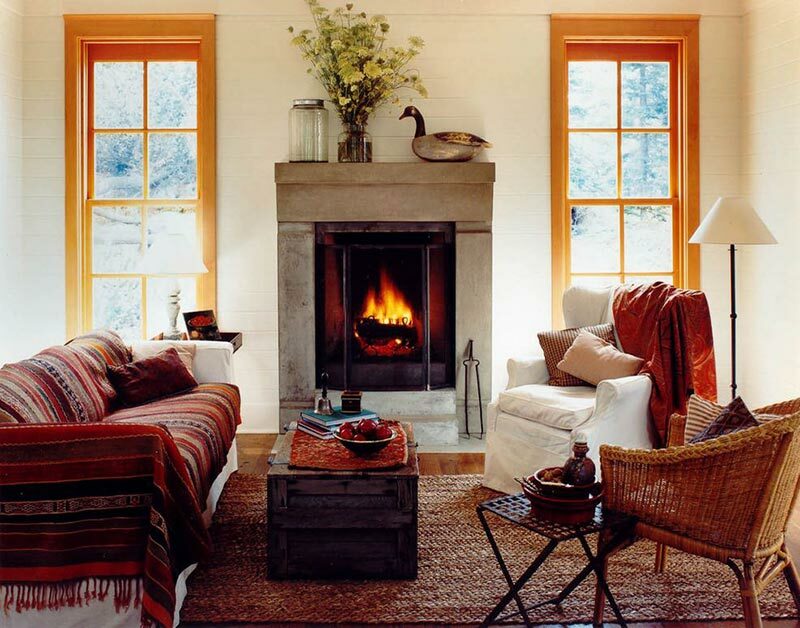 This living room is so rustic yet it is overflowing with urban chic aura in every details. I love how the space is inspired with geometric patterns and the colors and texture show a masculine vibe. 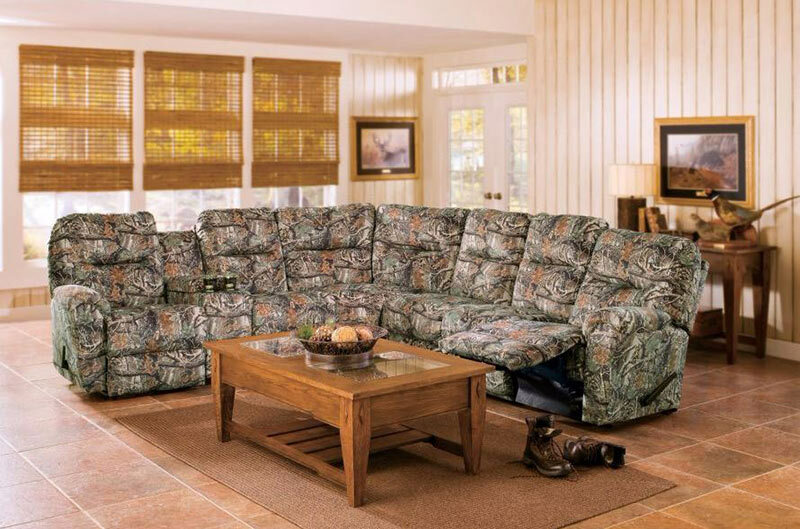 The fluffiness of this camouflage sectional is great for adding whimsy and rustic punch in your home. The comfort and coziness it will provide will make your space a very relaxing retreat. 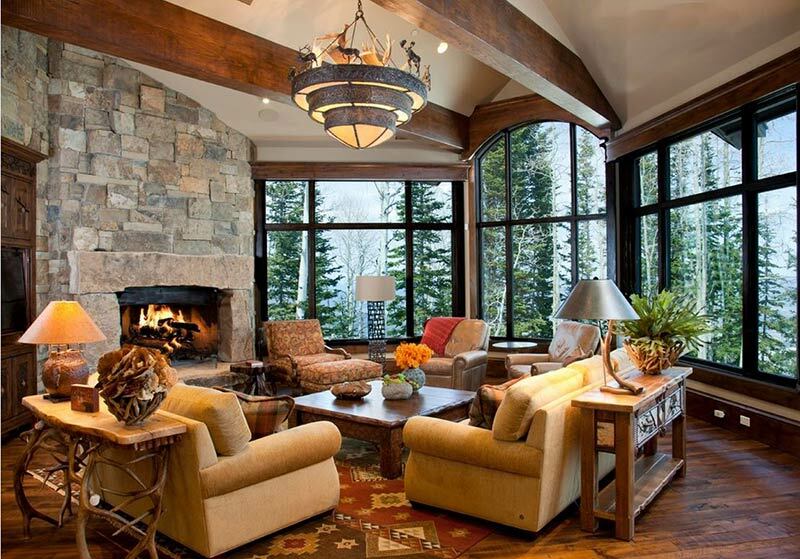 Beautiful and rich earth tone colors are dominating this stunning living room. The colors may feel a little too strong and hot but the huge window that makes the lovely view seen from the inside, let the natural light illuminate the whole space balancing the colors and making this room feels bigger and open. Urban and rustic. This home will take you to a whole new level of a modern rustic design. A very laidback rustic chic design, with beautiful wood and white contrast giving a rather airy and open ambiance. Whoever says that rustic design is boring and cannot be in any way sophisticated and classy has not seen this picturesque living room yet. 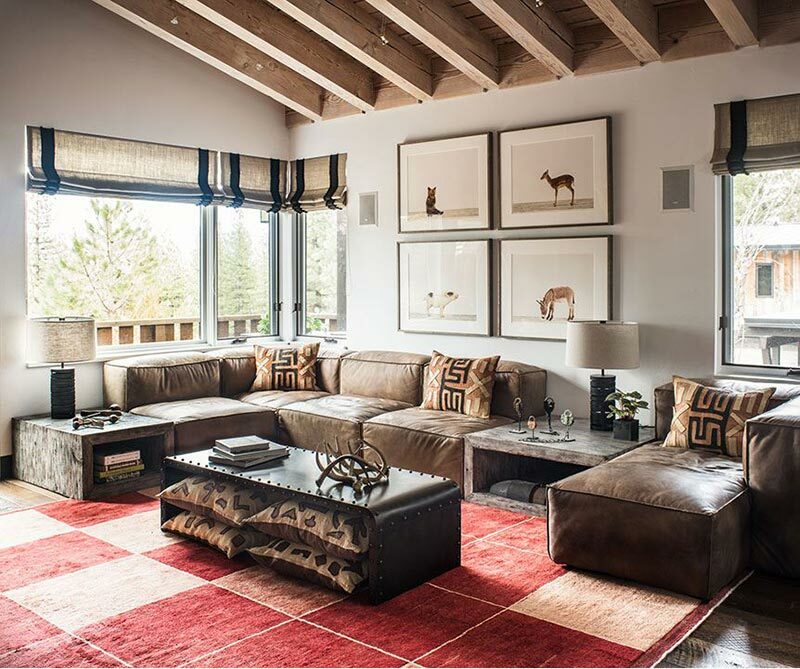 I love the fabulous rustic sectional sofa paired with two brown leather armchairs that somehow balances the feminine and masculine touches in this space. The red area rug with its intricate pattern adds interest to the whole look. This space is so gorgeous! 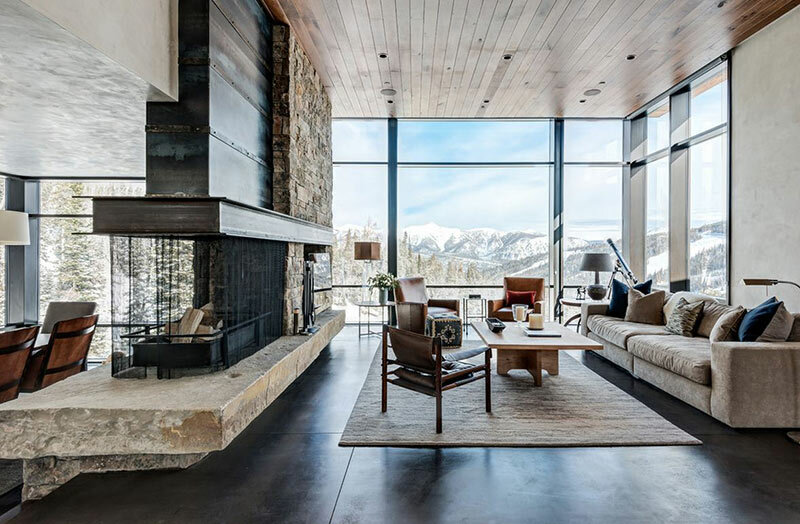 The sleek and chic look of the whole interior with its tempered glass handrails is balanced with the roughness of the rock texture on the fireplace and the weathered look of the sofa. It sure gives intrigue and drama to the space. Amazing designs, isn’t it? 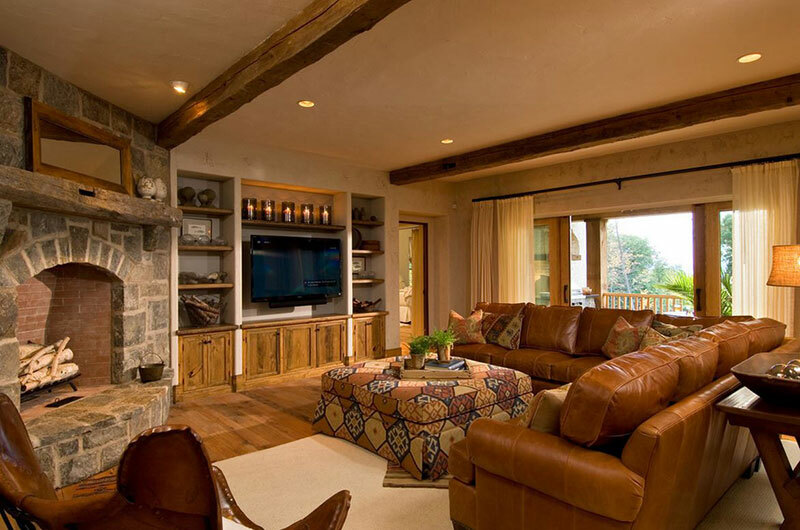 The magnificent homes made more grand and stunning with the help of rustic living room furniture. You see, rustic furnishings are not at all so simple and boring. yes, some may be simple but when you place it in the right spot mix it with different elements, it will surely standout. The contemporary rooms will be made more interesting and sophisticated with the addition of such weathered look decor. The modern walls of your apartment will turn into intriguing space with a rustic touch. It is not at all “just twigs and logs”. The rich and vibrant colors of earth tones are great for any kind of style you can think of. It is one way of adding nature to your home. Adding art and class to your interiors. Bringing warmth and coziness to your walls. Encouraging relaxation and tranquility and a little bit of life to your urban style of living. So why not give it a try and see for yourself, how a rustic touch in your furniture can turn your modern house around.